How sweet and buttery can you get? I looked at a few recipes for old fashioned bread pudding, Ina's version which was made with about 5 cups of half and half. I'm sure it's delicious - maybe for a special occassion, but this bread pudding is for an everyday dessert. Don't get me wrong, the bourbon sauce makes it super special! Tear croissants into small pieces and place in a large bowl. Add sugar and cinnamon. Mix milk, eggs and vanilla. Mix well. Let bread soak up with mixture while your oven preheats. Preheat oven to 350 degrees F. Butter prepared pan. Pour croissant mixture into pan and bake for 45 to 50 minutes, or until center is set. Add all ingredients to a small saucepan and boil for one minute. Mixture will foam up. As it cools, the foam will disappear. Add chopped pecans to the sauce if desired. Serve warm. Link up your favorite recipes! Patti - were you reading my mind? 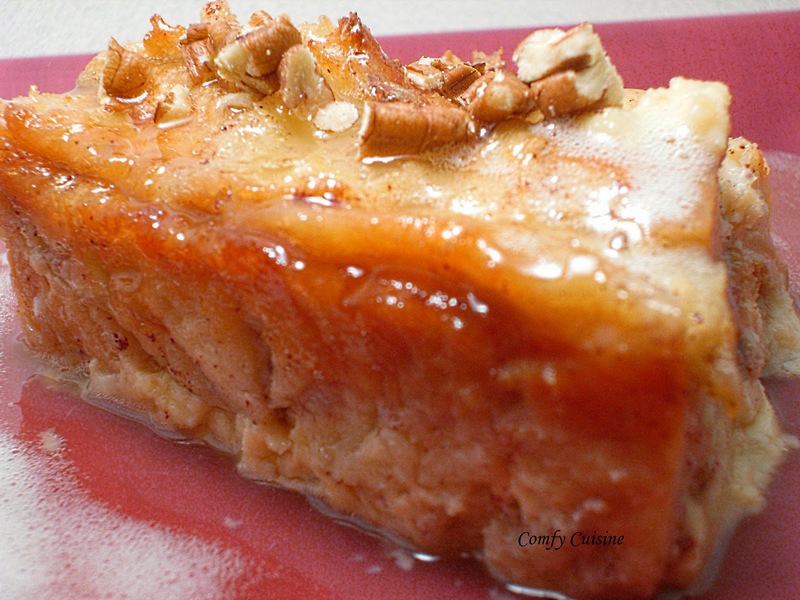 I was just thinking about bread pudding!! I have not had some good bread pudding in a long time! I love that you did this with croissants - perfect! Anything with croissants and bourban is a friend of mine :) Looks wonderful! This recipe would be great for our linky party starting tomorrow at THIS WEEK'S CRAVINGS the theme is "WHAT INGREDIENT CAN YOU HIDDEN? and Burbon in cake is not new but still wonderfully different! Please stop by (tomorrow) and linky up your fabulous recipe! Wonderful! Thanks for coming back and linking up your recipe! This is gonna be a fun week, seeing what "secret ingredient" people hide in their recipes! 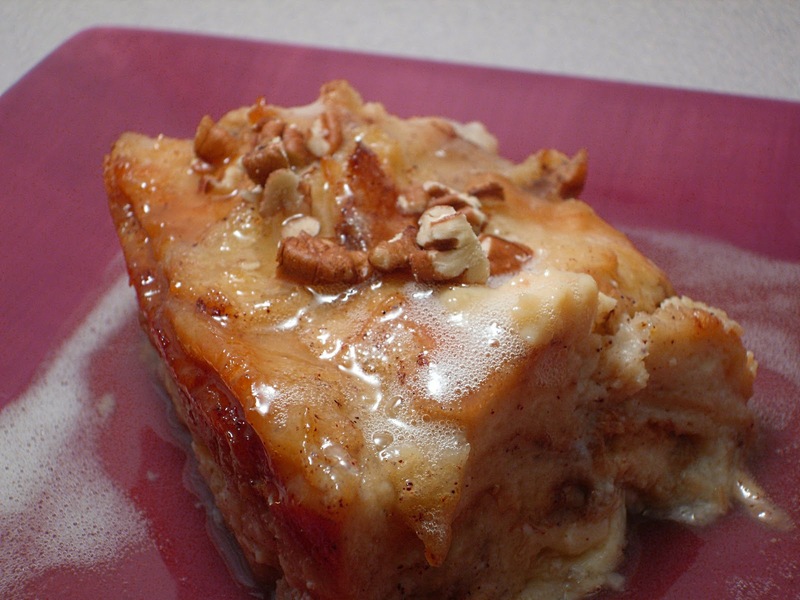 Your bread pudding looks delicious. 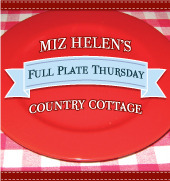 I would like to invite you to share it with Full Plate Thursday. Thank you for sharing and have a great week! I am so happy to see that you brought your wonderful Bread Pudding for us to enjoy today. I can tell it is a big hit with everyone. Thank you so much for sharing with Full Plate Thursday and hope to see you next week! This sounds so good! Croissants AND bread pudding.... a perfect team. Oh my goodness, this looks outrageously and sinfully delicious! That means that I just gotta make it!